Infinite Art Tournament: The Infinite Art Tournament, Round 2: Cézanne v. Chagall! The Infinite Art Tournament, Round 2: Cézanne v. Chagall! Defeated Philippe de Champaigne in Round 1. 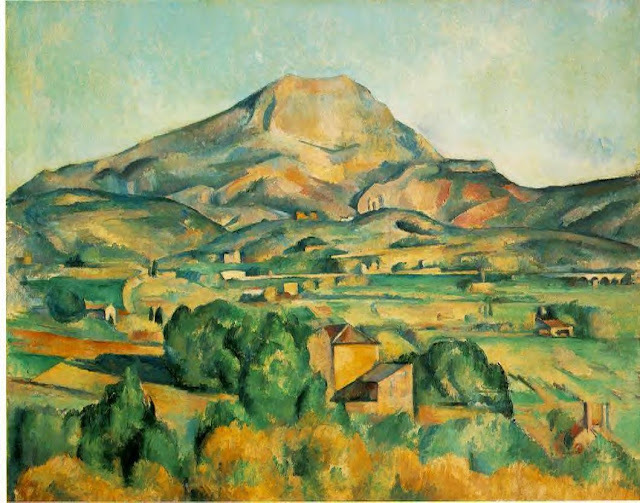 Cezanne. Or as one of our students called him, "Say-ZANNY"
Toughy. 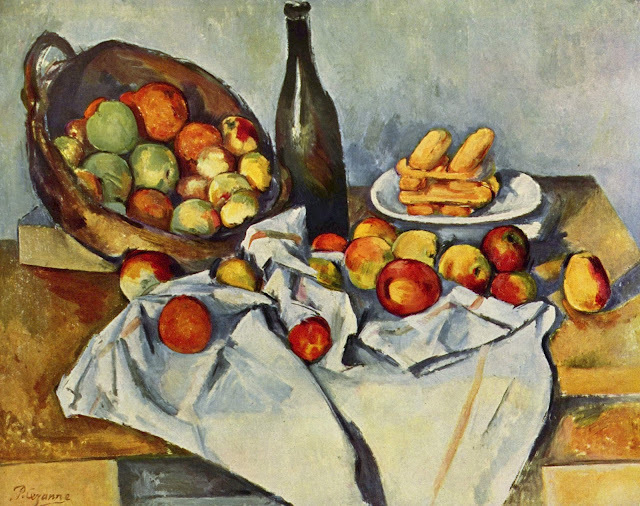 I'm going with Cezanne, swayed by the tower of biscotti in the still life. Oh - this one is really close for me. 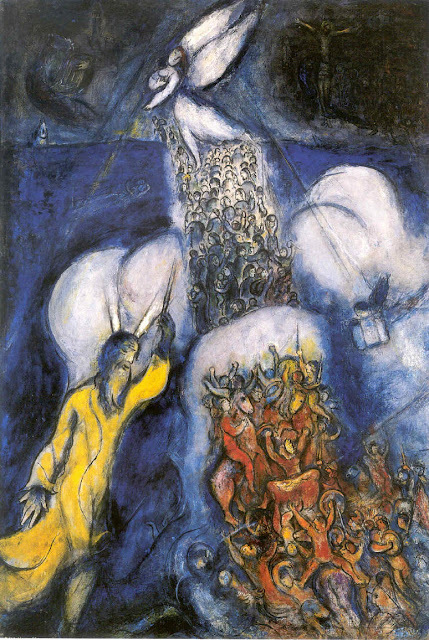 I guess I'll throw a vote to Chagall to balance things out a bit. I thought this decision wiould be harder. But Chagall, he's just so.... dreamy. Oh, killer matchup! I have a soft spot for Chagall, and yet I am going to have to vote for Cezanne. Because without him, why, who knows what would have happened? Much of the towering achievement of modern art would come crashing down like a stack of ill-placed biscotti! Ack! This may be the hardest one yet for me. Well after lengthy thought and prolonged introspection for nearly two minutes, and despite the idea that Cézanne was probably more important, historically and influentially, and biscottially, "the father of us all" and so on, I will say Chagall: Chagall. There, I said it. There's a certain feeling of the Tournament kicking into another stage with this pairing. I'm not historically a huge fan of Say-ZANNY, but some recent face-to-face encounters were awfully convincing. His oranges are more orange than other oranges. 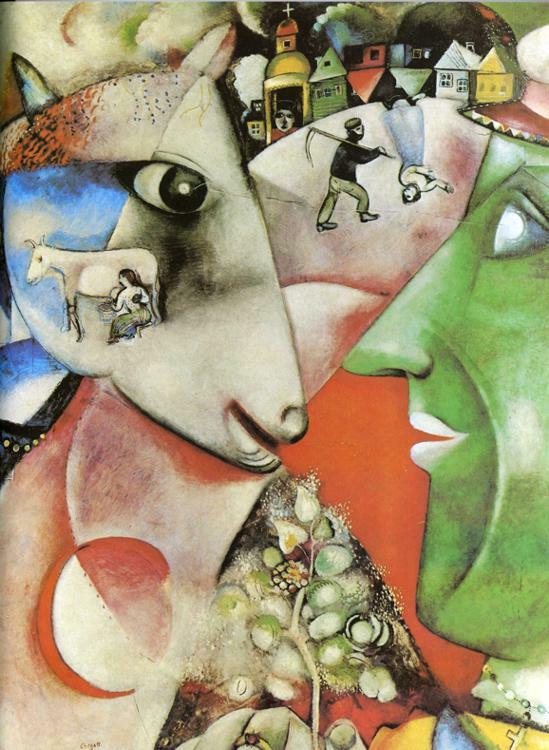 Chagall makes me feel like singing and writing novels and dancing. Cezanne makes me feel like walking on to see another painting, perhaps one by Van Gogh. 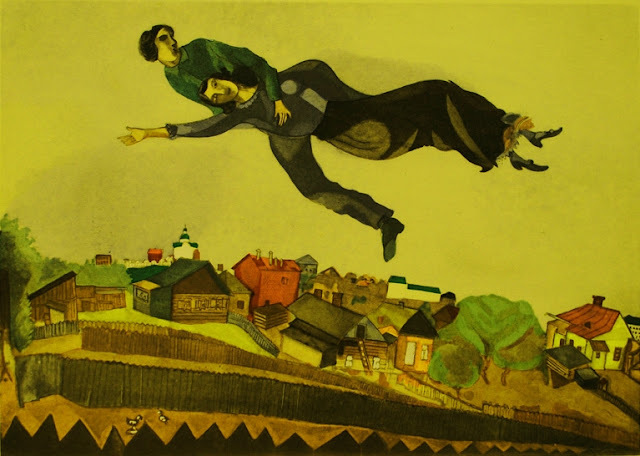 One vote for Chagall, please! Cezanne for color tones and blends. Another vote for Cezanne. This is a great 2nd round matchup. 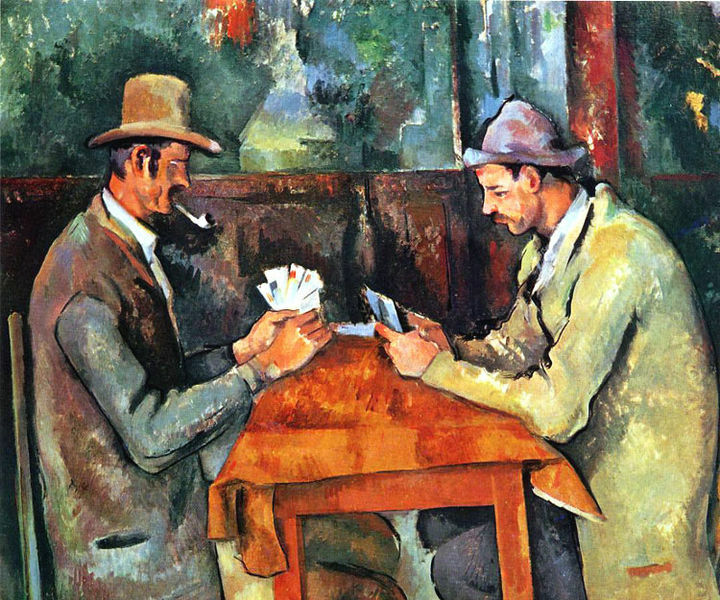 After correcting for the admirably consistent Alison's double-vote, we end up with Cezanne taking down Chagall 9-6 in a heartbreaker. Voting's closed in this one!